Reports have been coming out of Japan recently which state that the quad core CPU in the PS Vita will be manufactured by Samsung. 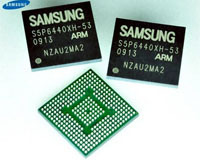 Samsung have also been manufacturing Apples A5 i7 processors for its iPods and iPhone lineup. This is quite a well prepared move from Sony as it will allow Sony to compete with giants such as Apple and Nintendo.